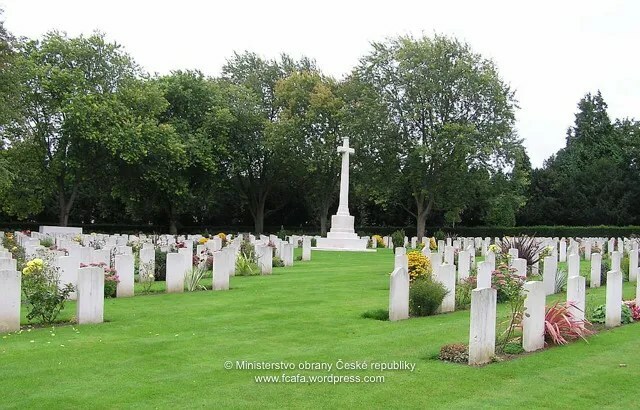 Of the 89 Commonwealth burials of the 1914-1918 war, the majority are in a War Graves Plot in Squares 121 and 126 bordering a path on the far right hand side of the cemetery. This was constructed by the City Corporation, who also erected the War Cross at the eastern end of the enclosed plot especially designed by Sir Reginald Blomfield and closely resembling the Commission’s own Cross of Sacrifice. The names of the 1914-1918 war dead in the cemetery are engraved on the base of the Cross. There are also 75 Commonwealth burials of the 1939-1945 war here, mainly in two adjoining Church of England dedicated Squares, Nos. 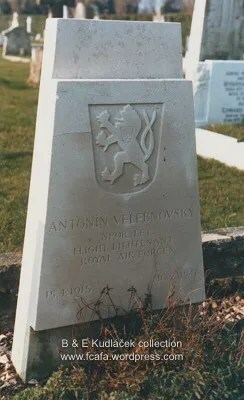 115 and 159, in the south-western portion of the cemetery enclosed by a hedgerow on three sides, on the fourth side a wall bearing the inscription 1939-1945 THE MEN AND WOMEN BURIED IN THIS PLOT DIED IN THE SERVICE OF THEIR COUNTRY THEIR NAME LIVETH FOR EVERMORE. In the northern section a further Square, No. 42, is dedicated to Roman Catholic burials, there is a metal plaque bearing a similar inscription. 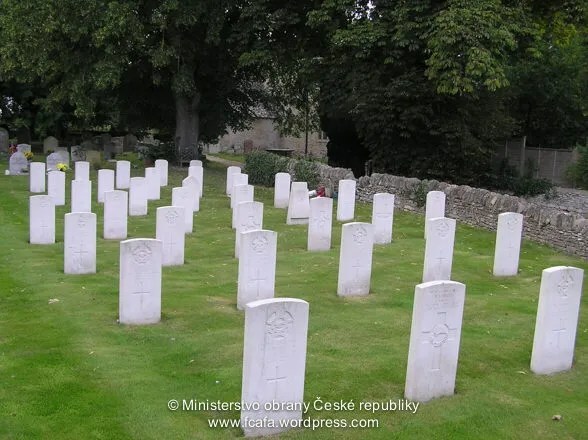 There are also 7 non-Commonwealth war burials and 4 non World War burials in the care of C.W.G.C. within the cemetery. 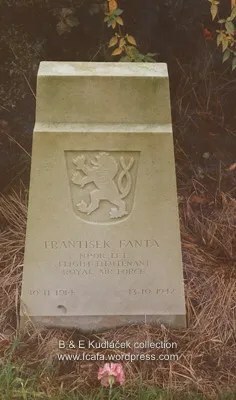 A symbolic urn was returned to Hradec Králové, 1945. 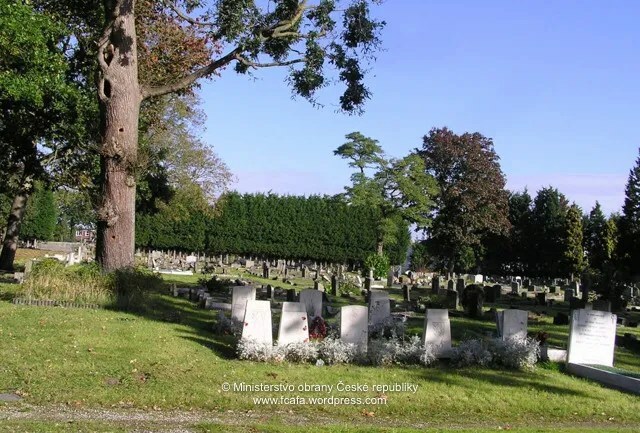 The cemetery is managed by Chichester District Council and is located on Church Road which runs between the A285 Westhampnett Road and the A27. 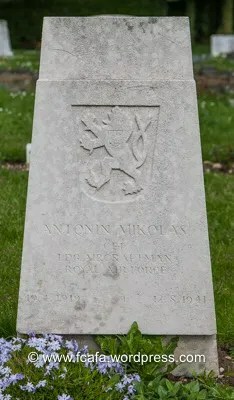 Address: Chichester Cemetery, Church Road, Chichester, West Sussex, PO19 7HN. 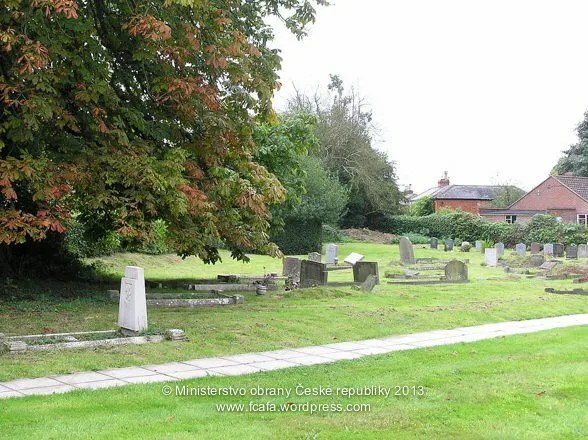 Ringwood Cemetery is a seven acres site with mature trees, shrubs and hedges. The first interment was in 1864 and now contains some 6,000 graves. The Commonweath War Graves Commission Section holds 30 graves. The cemetery is South-East of Ringwood, and is controlled by the Parish Council. It was opened in 1864. Address: Ringwood Cemetery, Hightown Road, Ringwood, Hampshire, BH24 1NH. 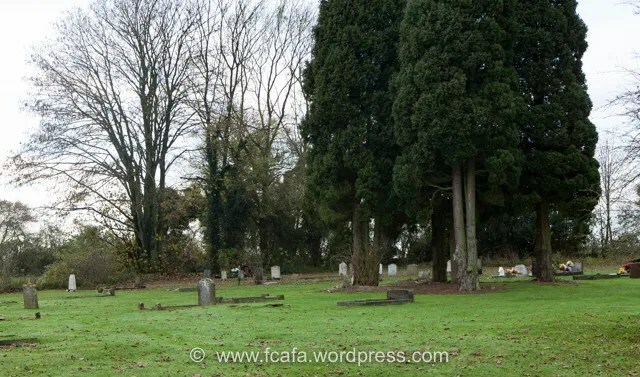 Devizes Road Cemetery was opened in 1856 and now holds approximately 14,000 interments. In the Commonwealth War Graves Commission Section there are 49 casualties from the First and Second World Wars. 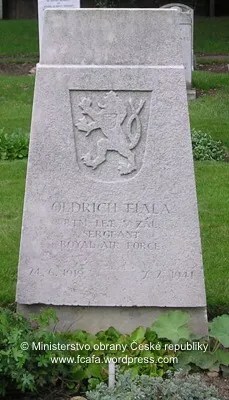 The “Memorial Stone”, situated inside the main entrance to the Cemetery, opposite the Cemetery Chapel. 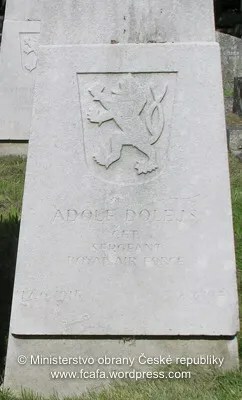 Address: Salisbury (Devizes Road) Cemetery, Devizes Road, Salisbury, Wiltshire, SP2 7ND. The cemetery opened in 1855 and covers 13 acres of land in London Road. 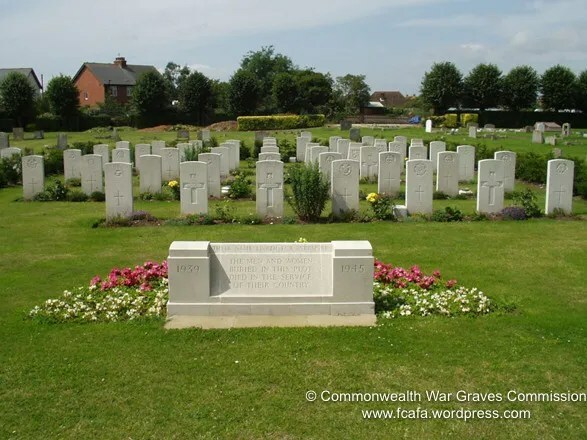 the Commonwealth War Graves Commission Section has 44 interments and a ‘Cross of Sacrifice’ Memorial. 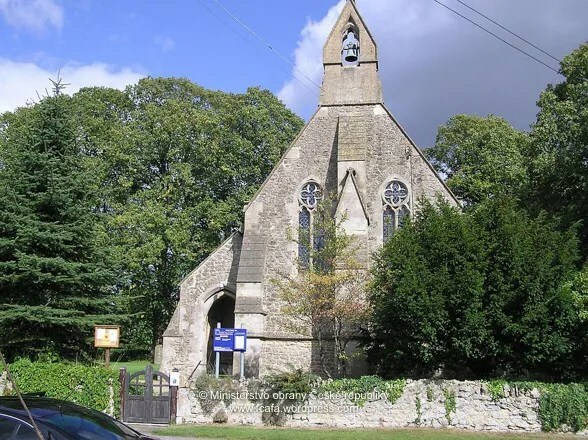 Address: Chippenham (London Road) Cemetery, London Road, Chippenham Wiltshire SN15 3RD. 5. Yatesbury (All Saints Churchyard). There are 17 Commonwealth burials of the 1914-1918 war and 19 of the 1939-1945 war here. 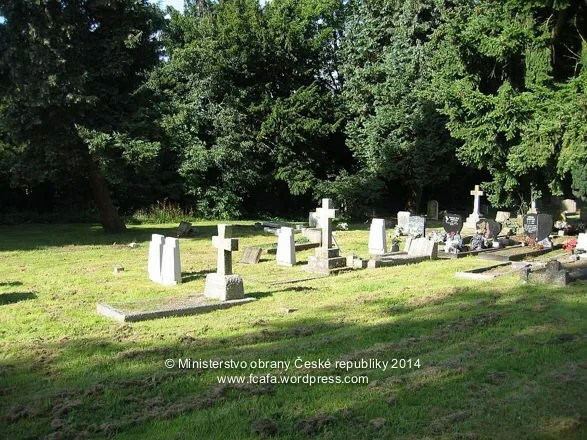 In addition there are the graves of 3 Polish airmen from the 1939-1945 war and 4 later non world war burials. 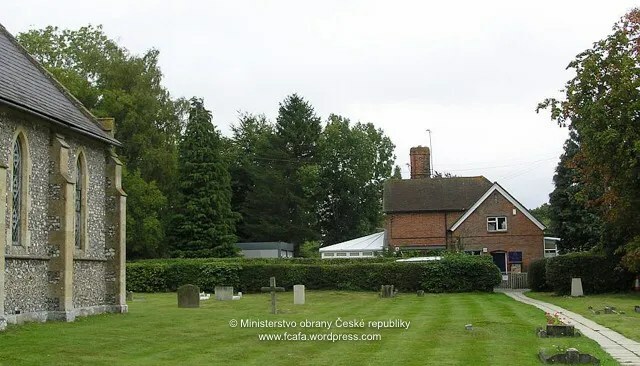 There was a flying school at Yatesbury, all the burials in this churchyard being airmen. 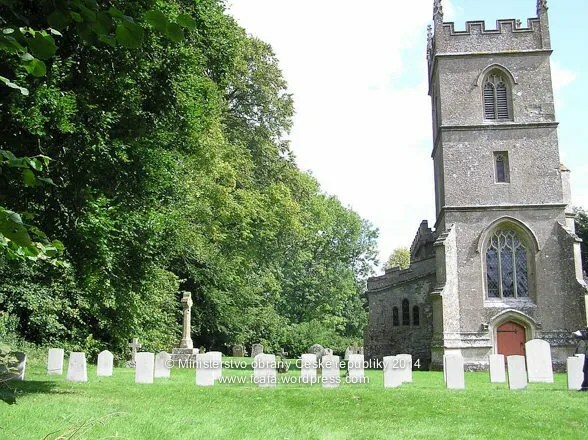 Address: Yatesbury (All Saints Churchyard), Yatesbury, Wiltshire, SN11 8YE. There are 25 Commonwealth burials of the 1914-18 war and 55 of the 1939-45 war here. 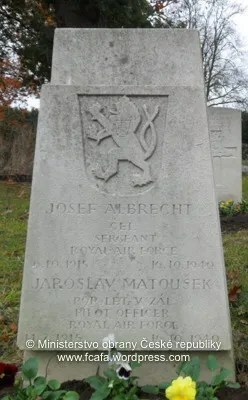 There are also 6 Polish airmen buried here, 1 being unidentified. 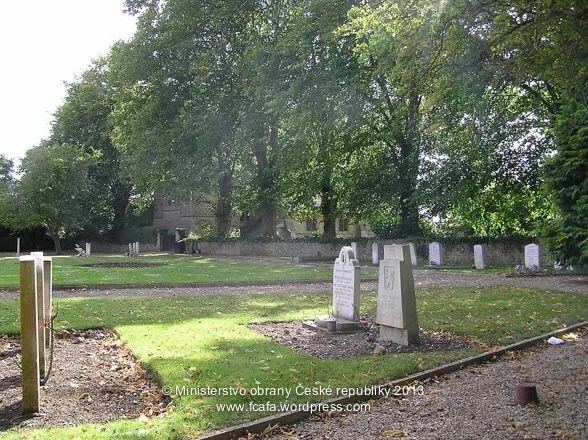 Address: Cirencester Cemetery, Chesterton Lane, Cirencester, Gloucestershire, GL7 1XE. 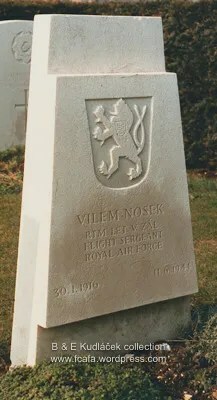 This cemetery contains the graves of 19 servicemen who died during the 1939- 1945 war, and this total is made up by 10 soldiers and 3 airmen belonging to the forces of the United Kingdom; 1 airman of the Royal Canadian Air Force; 1 airman of the Royal Australian Air Force; 1 soldier of the South African forces and 3 Polish airmen. 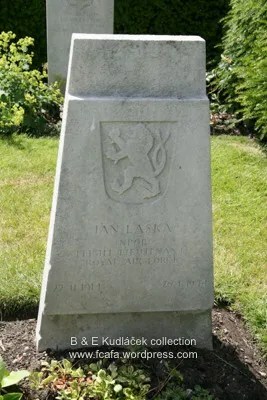 Originally there were also a Belgian soldier and two Italian soldiers buried here, but after the war their remains were exhumed, the Belgian for repatriation and the Italians for re- burial in the Italian section of Brookwood Military Cemetery, Woking, Surrey. Watchfield is a hamlet lying 3 kilometres from Shrivenham, the nearest railway station, and about 13 kilometres from Swindon (Wilts). Practically the whole of the hamlet and a considerable part of Shrivenham is War Office property and there is a permanent garrison at Watchfield. During the war it was the Headquarters of a large O.C.T.U. for the R.A. Searchlight and A.A. Battery, and in addition there was a Royal Air Force station there. The military cemetery, which lies east of the Chapelyard of St. Thomas, was opened towards the end of 1939. It is entered through the Chapelyard, from which it is separated by a dividing wall. 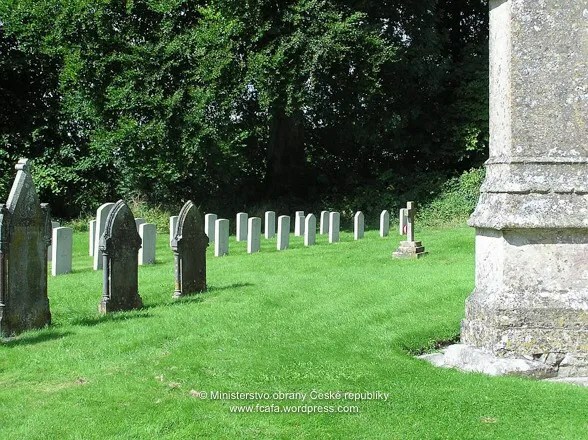 Address: Watchfield Military Cemetery, High Street, Watchfield, Oxfordshire, SN6 8SW. 8. St Mary the Virgin Church, Black Bourton. 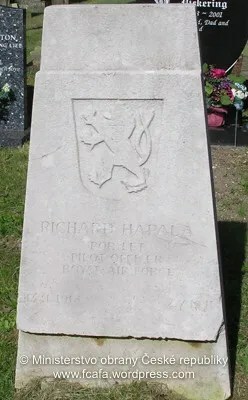 During the 1939-1945 War, the churchyard was used by the R.A.F. 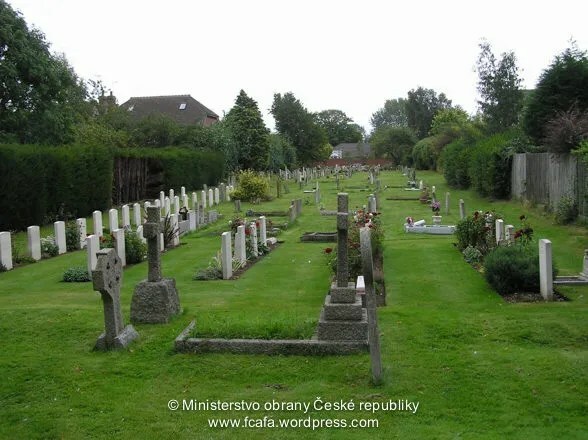 Station at Brize Norton, approximately 5 miles away, and most of the 31 war graves are those of airmen. They are together in a group immediately to the left of the entrance. The other graves are elsewhere in the churchyard. A symbolic urn was returned to Prague Olšany, 1945. During the First World War, the 3rd Southern General Hospital (an Oxfordshire Territorial Unit) was housed in the Examination Schools and a number of other buildings in Oxford. 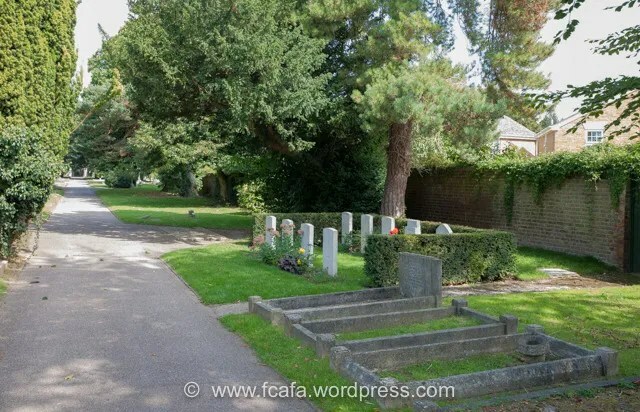 Oxford (Botley) Cemetery contains 156 burials from the First World War, all in the war graves plot in section I/1. 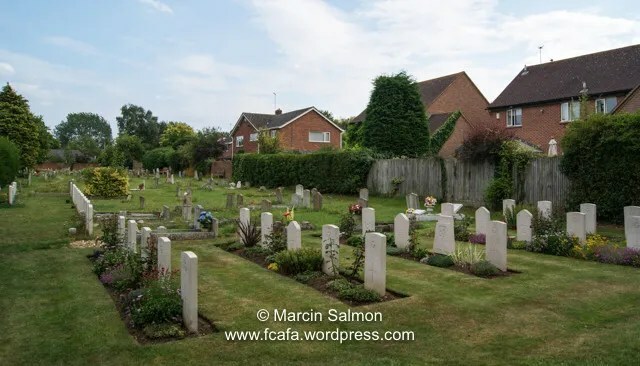 The cemetery was designated a Royal Air Force regional cemetery during the Second World War and was used by RAF stations in Berkshire and neighbouring counties. 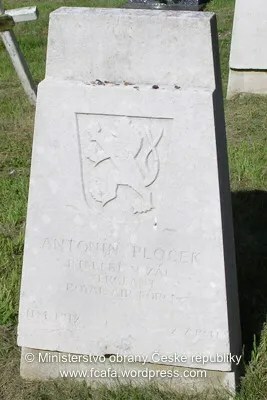 Practically all of the 516 Second World War burials (one of them unidentified) are in the war graves plot, which was extended from the section used during the First World War. The architectural features of the plot were designed by Edward Maufe, ARA. 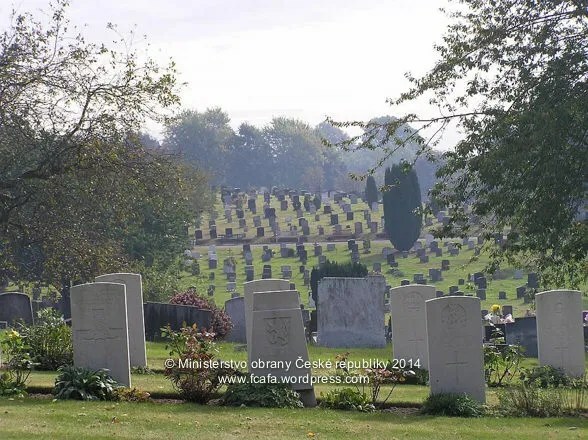 In addition to the Commonwealth war graves, Oxford (Botley) Cemetery contains almost 70 war graves of other nationalities. Address: Botley Cemetery, North Hinksey Lane, Botley, Oxford, OX2 0LX. 10. Benson (St Helen) Churchyard Extension. 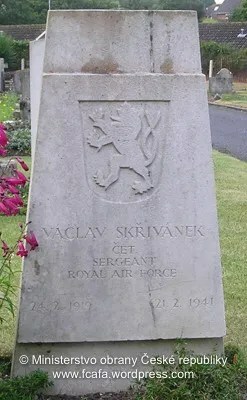 St. Helen’s churchyard extension contains 27 Commonwealth War Graves from the Second World War, one of which is from a Czechoslovak airman. 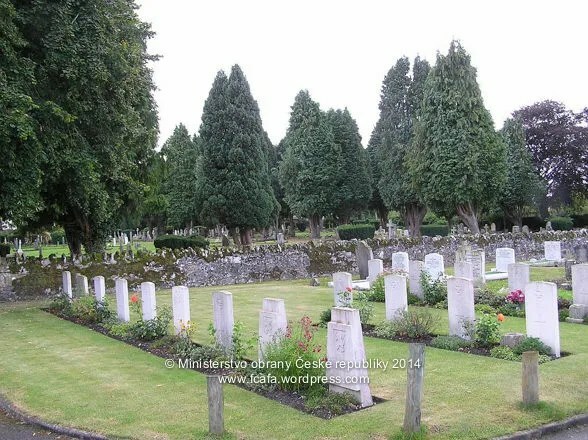 Many of those buried there served at RAF Benson with 12 OTU (Operational Training Unit). 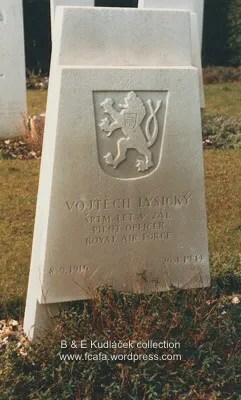 Alongside the Commonwealth War Graves are other RAF burials. A symbolic urn was returned to Brno, 1945. Benson, or Bensington, is a parish and village in the south-east of Oxfordshire with a lock on the river Thames. It is a mile and three quarters north-east of Wallingford (Berks.) 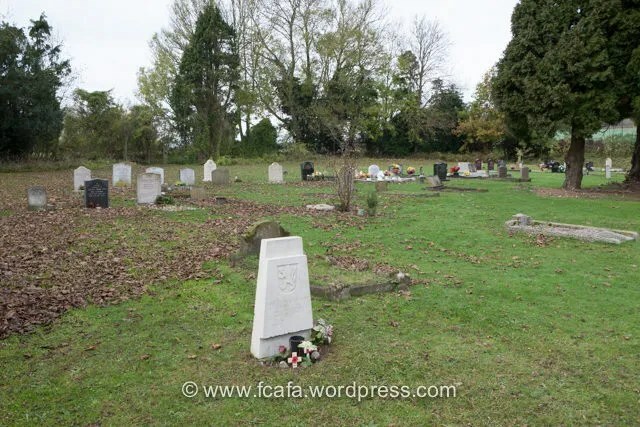 During the 1939-1945 War the Royal Air Force Station at Benson used this burial ground, which is 3 miles by road from Wallingford railway station, on the opposite side of the road to the church and old churchyard. 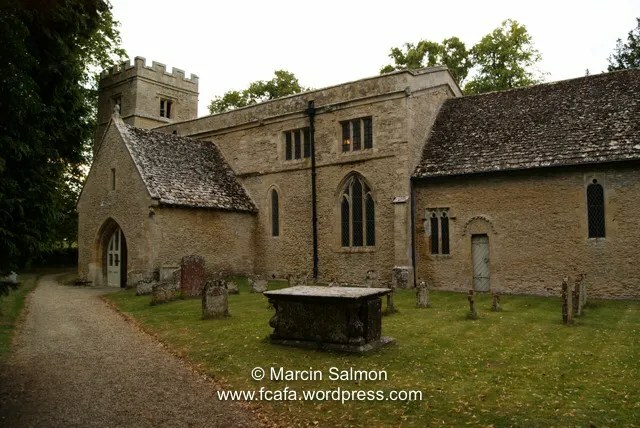 Address: St. Helen, Churchyard Extension, Church Lane, Benson, Oxon. OX10 6SF. 11. Stoke Row (St. John) Churchyard Extension. Interred at St John Churchyard are 2 Commonwealth war graves from World War I and 2 from World War II. 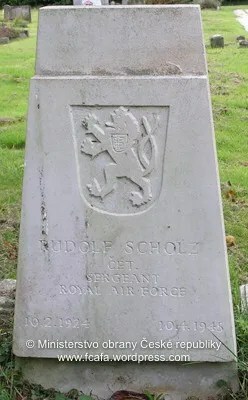 Address: Stoke Row (St. John the Evangalist) Churchyard Extension, School Lane, Stoke Row, Oxfordshire. Those named within the Maidenhead Register were all non-Commonwealth foreign nationals who died serving as members of Commonwealth Forces. Their remains were removed to their home countries and are presently commemorated solely by their database record and register entry. The register is maintained at C.W.G.C. Head Office, Maidenhead. (Viewing by appointment only). HECHT Walter, 27, LAC, 311 Sqn, Instrument Mechanic. Suffered fatal injuries after being struck by a bus 01/11/43 near Market Square, Melksham. KENNEDY Otta Karel, 25, Sgt, 311 Sqn, Air Gunner. 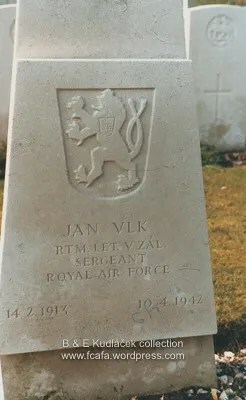 LANČÍK [Lanczik] Jaroslav, 20, Sgt, 311 Sqn, Wireless Operator/Air Gunner. Accidentally shot down by RAF night fighter on returning from bombing raid on Cherbourg, France. 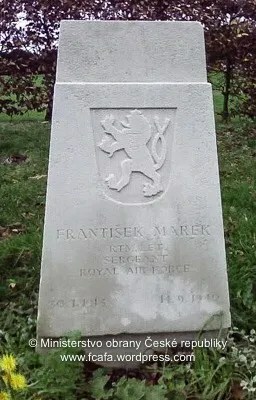 LAUNER Zdeněk, 20, F/Sgt, 311 Sqn, Wireless Operator. 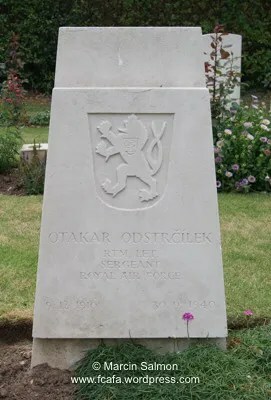 MANDLER Otto, 22, F/Sgt, 311 Sqn, Navigator. 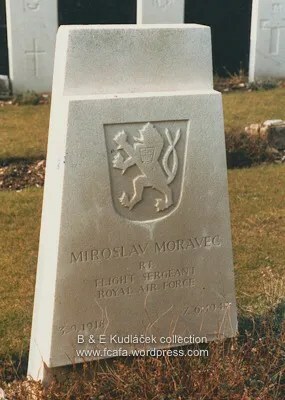 MAŠEK Jaroslav, 33, Sgt, 311 Sqn, Air Gunner. 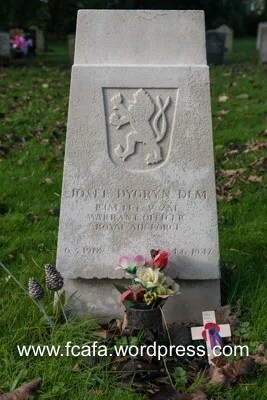 Former 311 Sqn pilot, who was released from RAF service on medical grounds in March 1943 due to a disease contracted when serving in the French Foreign Legion in 1939. After his release he was confined to hospital where he subsequently died. 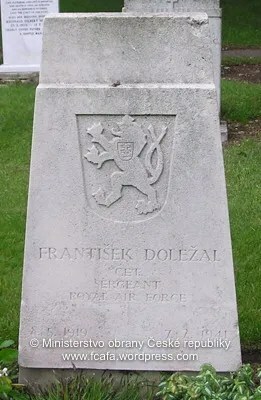 POLITZER František, 32, F/O, 311 Sqn, Navigator. 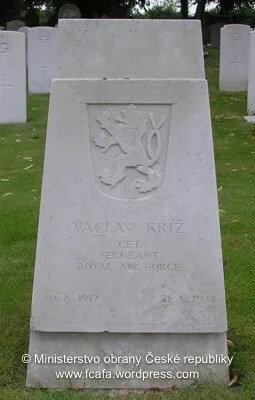 POLITZER Maxmilián, 22, Sgt, 138 Sqn, Pilot. Was co-pilot of Whitley Mk V Z9125 NF-A which crashed shortly after takeoff from Stradishall airfield for a mission over occupied France. 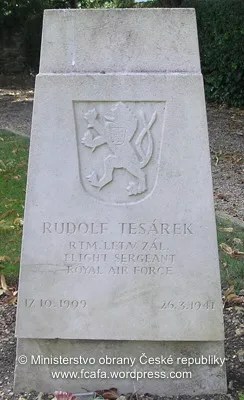 ŘEZÁČ Zdeněk, 21, Sgt, 311 Sqn, Wireless Operator/Air Gunner. Accident at start of training flight. A symbolic urn no 241, was returned to Prostějov 1945. 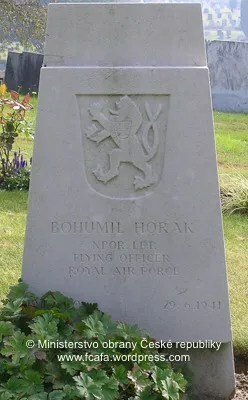 ZBROJ Eduard, 32, F/O, 311 Sqn, Navigator. * 15/03/12, Dvůr Králové nad Labem, Trutnov. 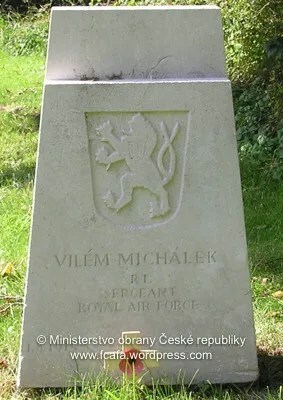 ŽDÍMAL Václav, 29, F/O, 311 Sqn, Navigator. 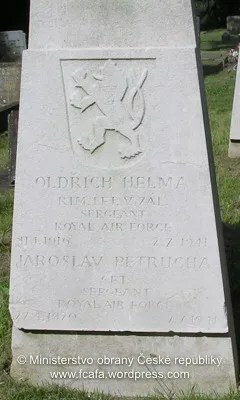 † 29/06/44, Wed Keverne, Cornwall. 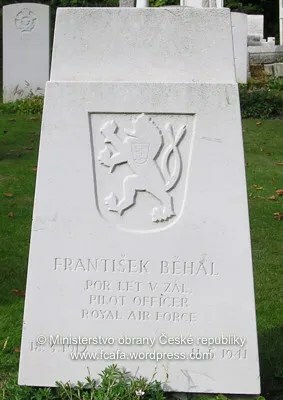 DITTRICH František K, 24, P/O, 311 Sqn, Pilot. † 23/10/41, off Cardigan, Irish Sea. Training flight crash into Irish Sea, off Cardigan. Address: 2 Marlow Rd, Maidenhead, Windsor and Maidenhead SL6 7DX. 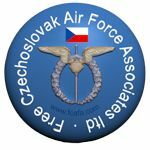 A dedicated article to the Czechoslovak RAF airmen commemorated at the Runnymede Memorial is here. 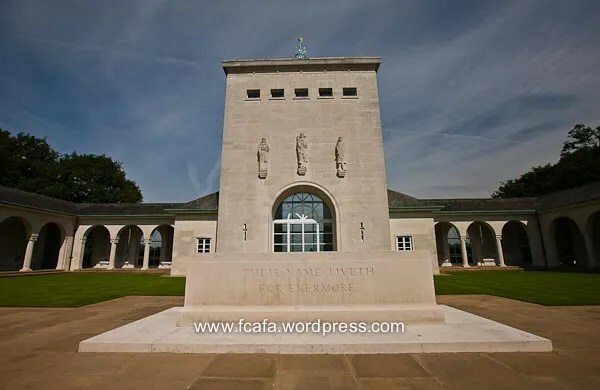 Sept 2013 – The Commonwealth War Graves Commission is aware of an Eco Camp on a field near to the public toilets at Runnymede Air Forces Memorial. The site is being monitored by Surrey Police and Runnymede Borough Council Community Safety Officers. However, it should be noted that the campers have been using the Coopers Hill toilets, which are owned by Runnymede BC. Some recent vandalism has also been reported. At times the public toilets may be out of service whilst repairs are undertaken. The Commonwealth War Graves Commission apologises for any inconvenience to visitors. This Memorial overlooks the River Thames on Cooper’s Hill at Englefield Green between Windsor and Egham on the A308, 4 miles from Windsor. Address: Cooper’s Hill Ln, Englefield Green, Egham, Surrey TW20 0LB. 14. Brookwood Military Cemetery, Brookwood. BROOKWOOD MILITARY CEMETERY is owned by the Commission and is the largest Commonwealth war cemetery in the United Kingdom, covering approximately 37 acres and contains 5,072 graves from WW1 and WW2. This site was further extended to accommodate the Commonwealth casualties of the Second World War. 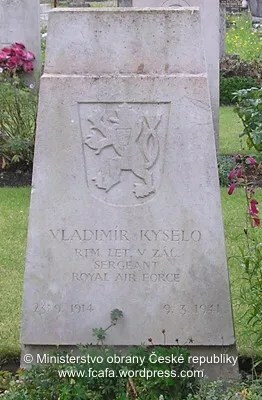 There is a large Royal Air Forces section in the south-east corner of the cemetery (which also contains the graves of Czechoslovakian and American airmen who served with the Royal Air Force) and the Air Forces shelter building nearby houses the register of the names of those buried in the section. 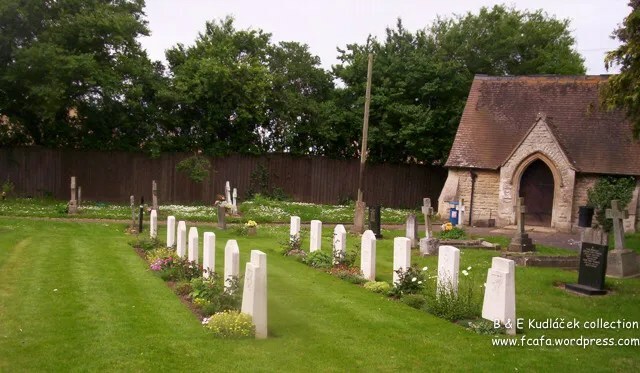 A plot in the west corner of the cemetery contains approximately 2,400 Canadian graves of the Second World War including those of 43 men who died of wounds following the Dieppe Raid in August 1942. The Canadian Records building, which was a gift of the Canadian government in 1946, houses a reception room for visitors and other offices. 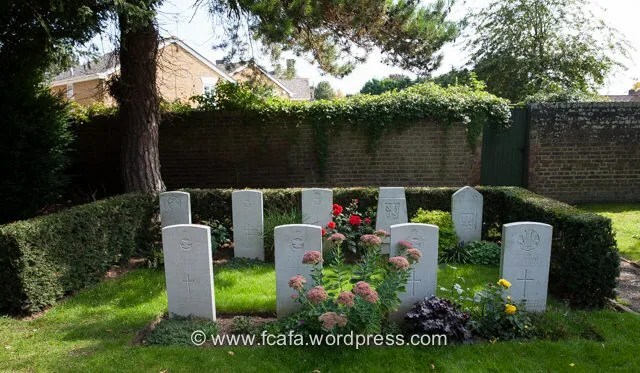 In addition to the Commonwealth plots, the cemetery also contains French, Polish, Czechoslovakian, Belgian and Italian sections, and a number of war graves of other nationalities all cared for by the Commission. The American Military Cemetery is the responsibility of the American Battle Monuments Commission. 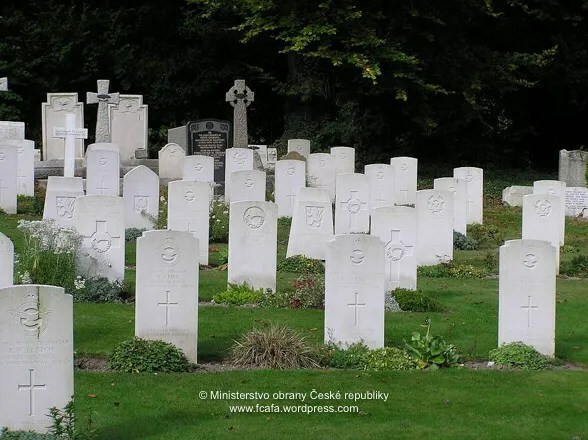 The war graves of other nationalities in the Commission’s care number 786 including 28 unidentified French. 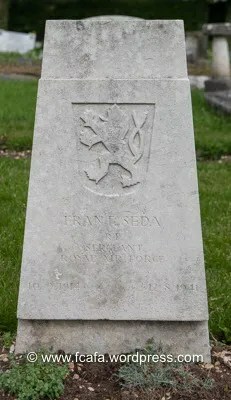 As an agency service on behalf of the Royal Hospital, Chelsea, the Commission also maintains a plot of the graves of Chelsea Pensioners, which is situated adjacent to the Military Cemetery, and a small plot containing the graves of 12 members of the nursing services in the adjoining Brookwood Cemetery is also in the Commission’s care. The BROOKWOOD 1939-1945 MEMORIAL stands at the southern end of the Canadian section of the cemetery and commemorates 3,500 men and women of the land forces of the Commonwealth who died during the Second World War and have no known grave, the circumstances of their death being such that they could not appropriately be commemorated on any of the campaign memorials in the various theatres of war. They died in the campaign in Norway in 1940, or in the various raids on enemy occupied territory in Europe such as Dieppe and St Nazaire. 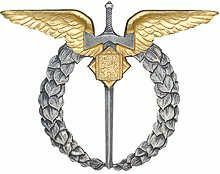 Others were special agents who died as prisoners or while working with Allied underground movements. Some died at sea, in hospital ships and troop transports, in waters not associated with the major campaigns, and a few were killed in flying accidents or in aerial combat. The new BROOKWOOD 1914-1918 MEMORIAL was built in 2015. It commemorates casualties who died in the United Kingdom during the First World War but for whom no graves could be found. 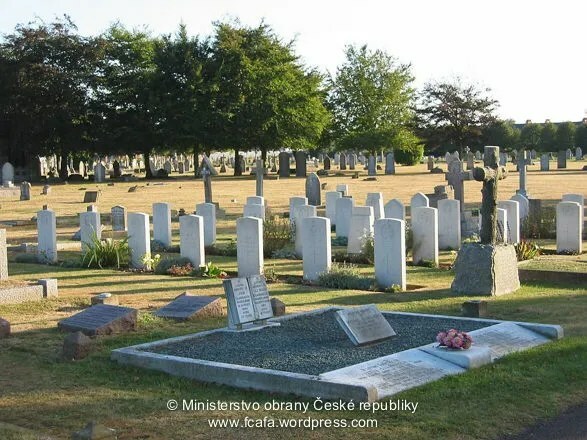 A dedicated article to the Czechoslovak RAF airmen interred at Brookwood Military Cemetery is here. Should you have any questions regarding this matter please contact Enquiries on 01628 634221 or via our email enquiries@cwgc.org. 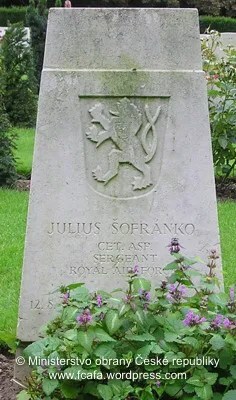 Address: Brookwood Military Cemetery, Long Avenue, Brookwood, Surrey, GU24. 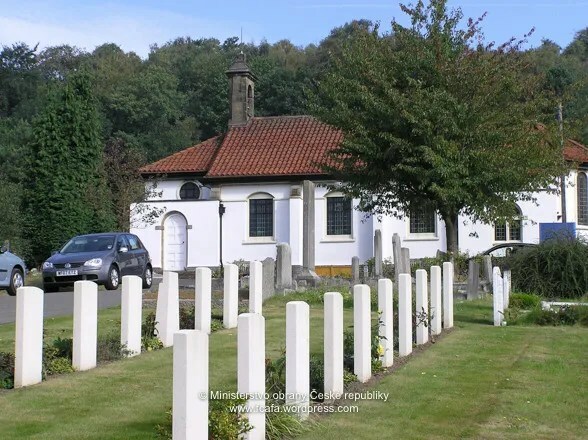 Redstone Cemetery at Reigate has 44 Commonwealth war graves from the Second and one from the First World War. Address: Redstone Cemetery, Philanthropic Road, Redhill, Surrey, RH1 4DG. 16. Whyteleafe (St. Luke Churchyard). 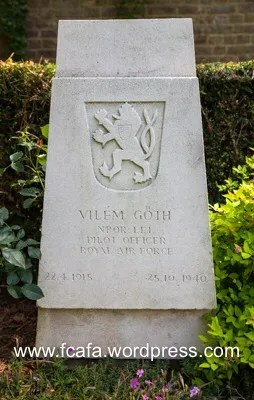 At the beginning of the Second World War, a special plot (the ‘Airman’s Corner’) was set aside in the churchyard for the burial of airmen from Kenley Whyteleafe RAF Station at Croydon who were killed in air battles, or who died on other operational duties. 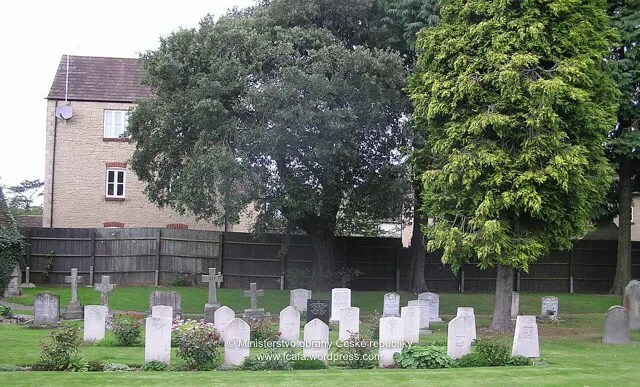 The churchyard contains 38 Second World War burials, most of them in the plot, but there are a few privately owned war graves elsewhere in the churchyard, together with five war burials from the First World War. The war graves plot also contains six post-war service burials. 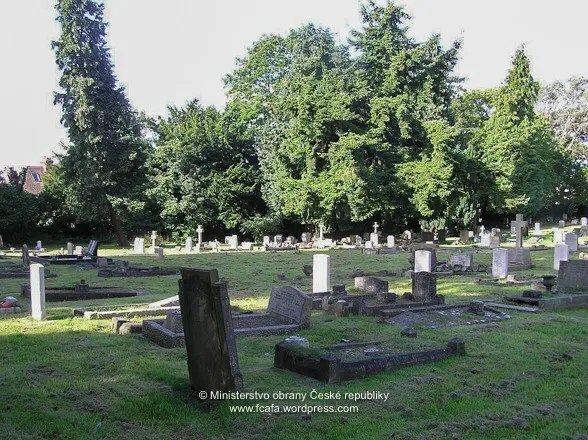 Address: Whyteleafe (St. Luke Churchyard), Whyteleafe Hill, Whyteleafe, Surrey, CR3 0AA. 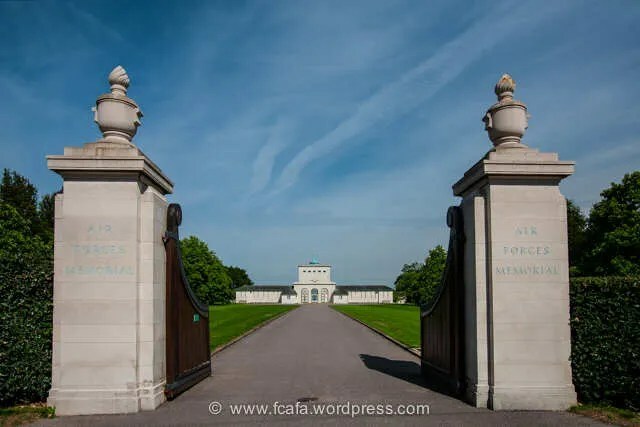 Many of the 63 Second World War Commonwealth burials at Northwood Cemetery were from the Royal Air Force station at Northolt, the premier fighter station for the defence of London and a famous Battle of Britain station. 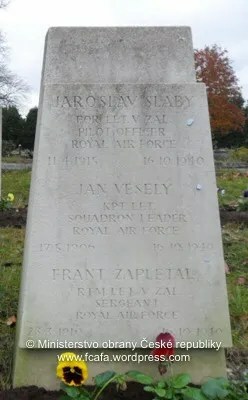 A wing of the Polish Air Force operated from Northolt at this time and 54 Polish airmen are also buried in the cemetery. Many of the Second World War graves will be found in the war graves plot in section H, the rest are scattered throughout the cemetery. 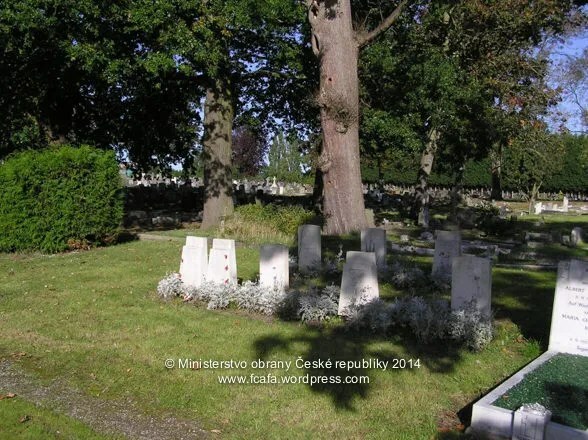 Northwood Cemetery also contains five graves from the First World War. Included amongst these Polish airmen are 2 Czechoslovak pilots – Josef František and Vilém Košař – who flew with 303 Sqn and 302 Sqn respectively of the Polish Air Force. 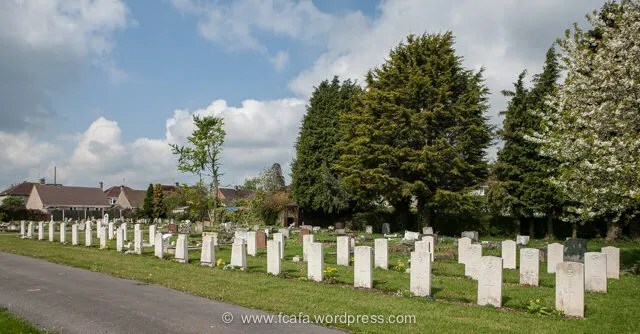 Northwood Cemetery, is located in Chestnut Avenue, Ruislip, Middlesex, which is off the A404 Pinner to Rickmansworth road. Address: Northwood Cemetery, Chestnut Avenue, Ruislip, Middlesex. 18. 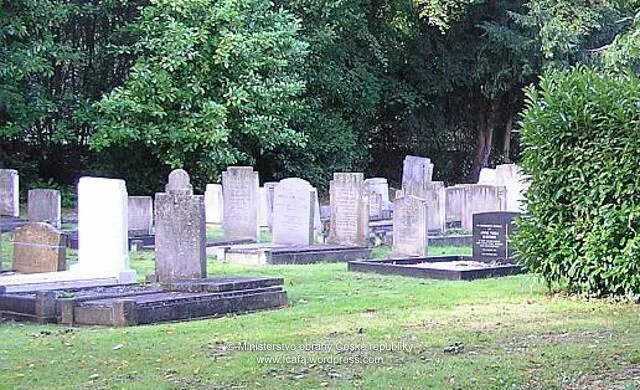 Harrow (Pinner) New Cemetery. The Commonwealth War Graves Commission section of the cemetery contains 63 war graves. 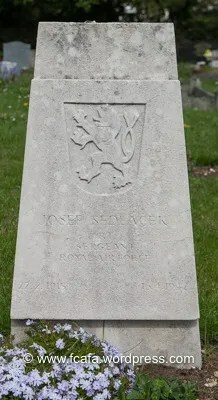 Address: Harrow (Pinner) New Cemetery, Pinner Road, Pinner, Middlesex, HA5 5RH. Also known as: Becontree Cemetery, Eastbrookend Cemetery, Dagenham, Eastbrookend (Dagenham) Cemetery. 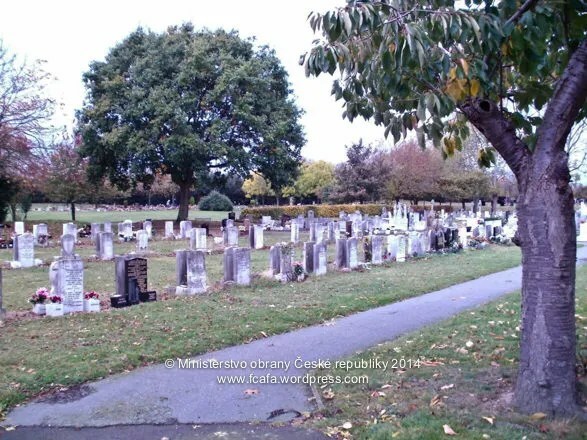 Opened in 1914 this 11-acre cemetery was private until 1958 when it was known as Becontree Cemetery. 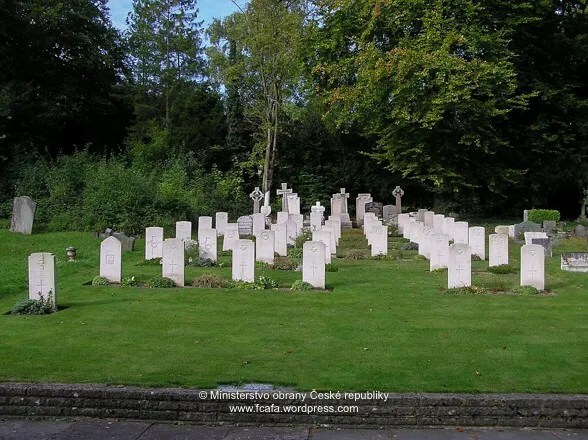 The Commonwealth War Graves Commission section of the cemetery contains 24 war graves. 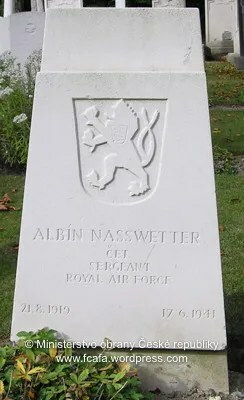 Many German aircrew from WWII were originally buried here. 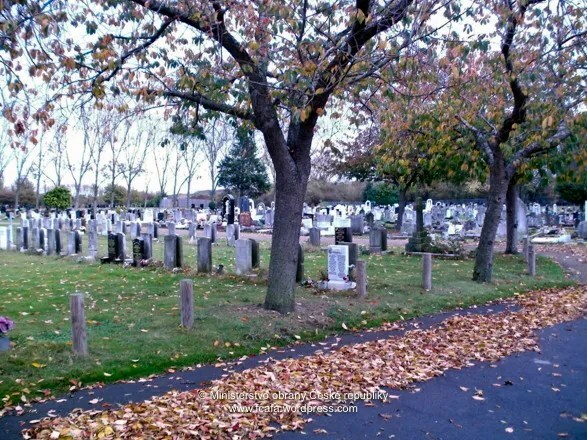 Address: Eastbrookend (Dagenham) Cemetery, The Chase, Dagenham Rd, Romford, Dagenham, Essex RM10 7DR. 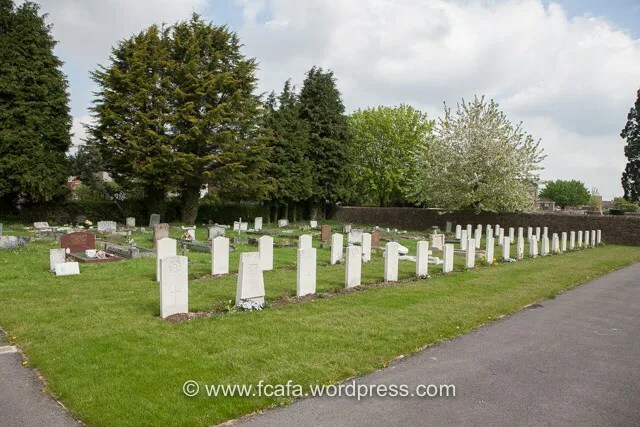 The Commonwealth War Graves Commission section of the cemetery contains 67 war graves, 31 are from WW 1 some of whom had died in local hospitals set up during the War or were stationed in the district. There are 36 Allied war graves from WW 2. Address: Sittingbourne Cemetery, Bell Road, Sittingbourne, Kent, ME10 4EB. 21. Westwell Burial Ground, Westwell Kent. 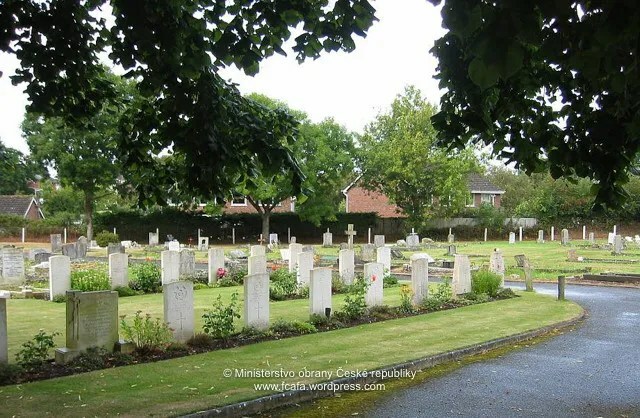 The Commonwealth War Graves Commission section of the cemetery is located in Westwell Burial Ground Extension and 2 war graves. 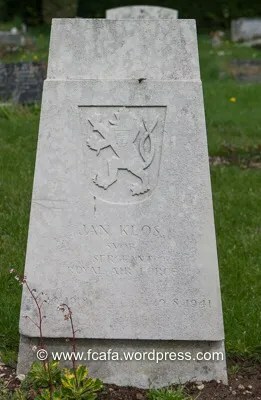 Address: Westwell Burial Ground, Westwell Lane, Westwell, Ashford, Kent. 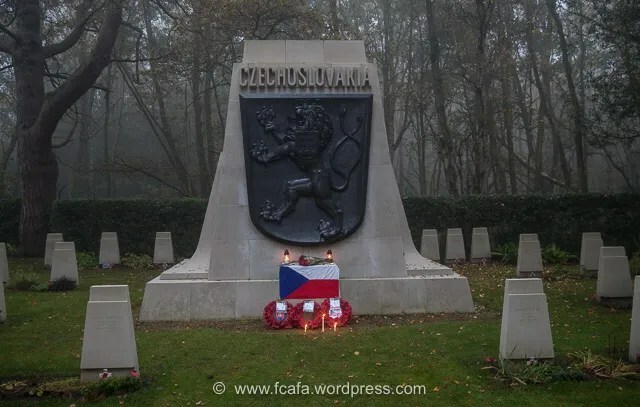 The assistance of Ministerstvo obrany České republiky [Ministry of Defence, Czech Republic] and the Commonwealth War Graves Commission with this article, is very much appreciated.